“Last year Trina did 5 SoulPath sessions with me and the 5-person team at the nonprofit I manage, Renew Missouri (our mission is to transform Missouri into a leading state in renewable energy & energy efficiency by 2016). 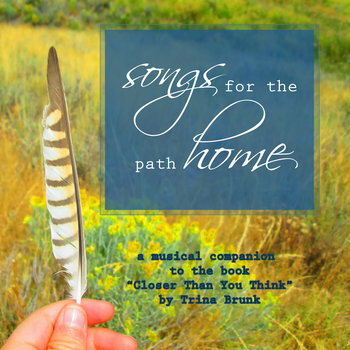 Trina helped me access a sense of deep calm and inner peace during a time of my life when the low thrum of fear had been shaping my days. This experience reminded me that such a feeling of safety was indeed still possible for me, and could be coaxed back to life. I have several very enjoyable, powerful sessions with Trina. She seems to know just the right questions to ask to get to the root of the issue! She guided me with tenderness and care and I appreciated it greatly. Trina has an amazing ability to move seamlessly between intuition, idea generation, holding space and gently questioning. My sessions with her have always left me feeling more calm, clear and open. We moved between tears, laughter, contemplation and creativity. I love the space she creates! Trina responded to me when I asked from within a spiritual group for assistance. She shared three sessions with me, each one of them stronger than the last. The last session, I feel, reinstated communication, and caused a reintegration of two parts of my personal psyche that had been separated. This will allow me to move forward, a more 'Complete Whole,' from which to achieve my highest good, and most deeply held desires. Thanks, Trina Love, Light, and Namaste. Trina responded to me when I asked from within a spiritual group for assistance. She shared three sessions with me, each one of them stronger than the last. The last session, I feel, reinstated communication, and caused a reintegration of two parts of my personal psyche that had been separated. This will allow me to move forward, a more 'Complete Whole,' from which to achieve my highest good, and most deeply held desires.